With every flip of the card and roll of the dice, our Las Vegas casino deals a winning combination of luxury and invigoration. Accept the many alluring challenges presented before you and enjoy. Just a few of our Table Games indulgences include Blackjack, one of the most popular casino table games. 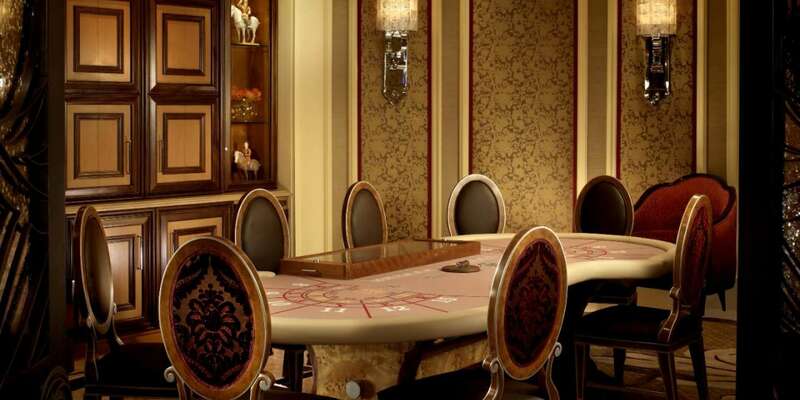 Where players may enjoy a private atmosphere while still being a part of the casino action. Our high-limit lounge provides the combination of seclusion and casino amenities, including a speakeasy-style bar serving an exclusive selection of spirits. Designed by Adam Tihany to set the scene for truly elite experience, Club Privé is contemporary yet opulent, with Art Deco accents including the raised floor, interlinking metal, dark wood, and glass-and silver-leafed screen partitions. The Lucky 8-Eight distinct spirits at Club Privé featured for their unique characteristics and limited availability. You can never go wrong with a classic! Blackjack is one of the most popular casino table games. The object of the game is to have your cards total 21 or as near to 21 as possible without going over. Everyone plays against the dealer (the house) who begins the game by dealing each player two cards and the house one card face-up and one card face-down. Cards are counted at their face value. Kings, Queens and Jacks count as 10. Aces count as 1 or 11. If the first two cards you are dealt total 21, you have a blackjack. Roulette is enticingly easy to play. The roulette wheel is marked with numbers 1 - 36 and the symbols "0" and "00." The numbers are alternately colored red and black and the "0" and "00" are green. Color and number combinations offer a variety of betting options for an exciting gaming experience. Wagers can be placed on individual numbers or groups of numbers on the betting layout. When the ball comes to rest on the roulette wheel, the dealer places a marker on the winning number on the table layout and pays the winning bets. 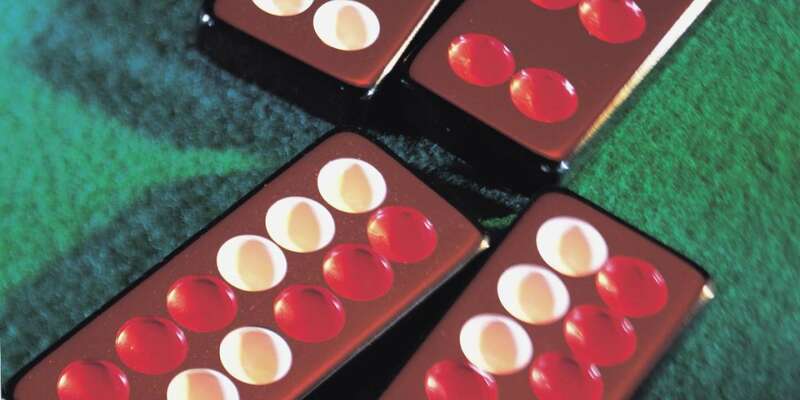 Craps is a fast-paced, action-packed game utilizing a pair of dice. Once players place their bets, one player known as the "shooter" throws the dice. All wagers must be placed before the shooter throws the dice. The dice are passed to another "shooter" when the shooter “7 outs”. Traditionally the grandest of all casino games, baccarat (pronounced BA-CA-RAH) offers some of the best odds. Eight decks are shuffled together and those participating in the game place a wager on either the bank or the player. Two cards are dealt to both the player and banker. Face cards and tens have no value. The winning hand is the one which totals the closest to nine. This alluring variation of poker offers three different ways to play: Bet Against The Dealer's Hand, Bet On Your Own Hand and Bet Both. Players first make an ante bet then each player and the dealer receive three cards. Players can then make additional wagers or fold and forfeit the hand. Pai Gow Poker combines elements of the ancient Chinese game of Pai Gow and the American game of poker, and is played with a traditional deck of 52 playing cards plus one Joker. Pai Gow Poker is essentially playing two separate poker hands according to traditional poker rankings. The Joker is used only as an Ace or a wild card to complete a straight or a flush. The dealer starts the game by rolling three dice. The total of the dice determines which player receives the first set of cards. Each player receives seven cards and creates two hands simultaneously: a high hand and a second-high hand. Both hands must be higher than the bank hands to win. Easy money and you don't even compete against the dealer! Make your bets and if you've got a good hand, just Let It Ride®... To begin, you place three equal bets and are dealt three cards. If you like your cards, Let It Ride®; if you don't like them, take back your first bet. Then the dealer turns over one of two community cards. If you like your cards again, Let It Ride®; if not, take back your second bet. Finally, the dealer turns over the second community card and pays all winners. BONUS: put a dollar on the red circle and, if you hit a bonus hand, you'll win cash instantly! Pai Gow is an intriguing game brought to Nevada from the Orient. The game is played with dominoes. The dealer shuffles the dominoes and then rolls three dice. The total of the dice determines which player receives the first set of dominoes. Four dominoes are dealt to each player, each vacant player position on the table and to the dealer. Each player creates two hands with the four dominoes: a high hand and a second-high hand. The object of the game is to create two hands which are higher than the bank hand. If both hands are higher than the bank hands, the player wins. If one hand is higher and the other is lower, it is a tie. If both of the player's hands are lower than the bank hands, the player loses. Both the dealer and the players take turns being the bank. Unfortunately, no seats are available. Please select another time or call 866.906.7171. M life is the ultimate way to do what you love – and get rewarded for it. From hotel and entertainment to dining, spa and gaming, you can earn rewards for virtually every dollar you spend. Give us your digits; we'll give you all the insider deals and info. Seems fair. Message and data rates may apply. By joining this subscription program you authorize MGM Grand to send you automated marketing text message at the mobile number provided. Consent isn't required to purchase goods or services.